The Intelligence Advanced Research Projects Activity is calling on industry to provide feedback on the agency’s Space-based Machine Automated Recognition Technique program. IARPA issued a draft broad agency announcement on Friday to introduce the four-year SMART funding opportunity and seek comments, questions and suggested changes to program plans. SMART aims to build technologies designed for automated search, monitoring and analysis of space-based imagery to detect and identify construction and other anthropogenic activities, such as heavy building and highway construction. IARPA said the tools should support coordinated series of space-based observations for long-term broad-area search over diverse environments at local, regional and global scales. Other capabilities for the SMART technologies include automatic analysis of “extremely large data sets” and temporal investigative analysis of imagery for change detection. The program will have three phases, running from one year to 18 months. 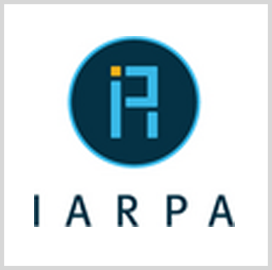 Interested parties can submit responses to IARPA through May 10.